The Kabbalah, represents the mystical journey of the soul through the Tree of Life to manifest into human form and then transcend up to spiritual oneness. 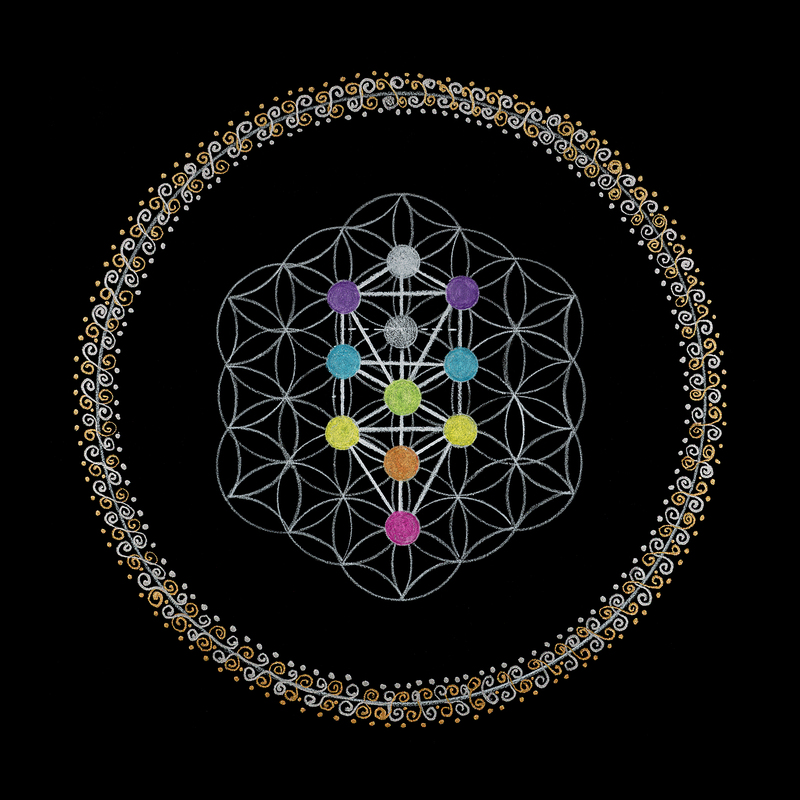 Each circle on the Tree of Life is called a Sefirot (emanation of divine will). There are ten Sefirot that mirror each other as they reveal and receive information for the soul. The Sefirot challenge and support the soul as it travels up and down the Tree, providing insights or paths. The left branch represents the mysteries in the darkness; the right are the forces of light. The trunk is the neutral, self-giving one. The task is to know ourself as a human grounded on earth. From this place of awareness, we can embrace our humanness and travel up the Tree of Life to remember being a soul. This is called the “way of the return.” When the soul attains Da’at, it becomes one within the knowledge of unity consciousness. The 78 lines of Metatron’s cube inspired the creation of the Tarot. The 22 cards of the Major Arcana trace the soul’s journey in both directions until it reaches Da’at. The 56 cards of the Minor Arcana reflect the elements of earth, water, fire, air with 14 cards per suit. The Tarot helped open the doors for the enlightenment of the Renaissance. Message: Multiple paths are in front of you now. You are being asked to make a choice. Remember that each path comes with its own lesson; therefore, there is not a right or wrong path. Choose a path that feels right for you. If you are in doubt, follow your heart and you will find your path. The Tree of Life diagram is modeled after the Menorah as spelled out in Exodus.